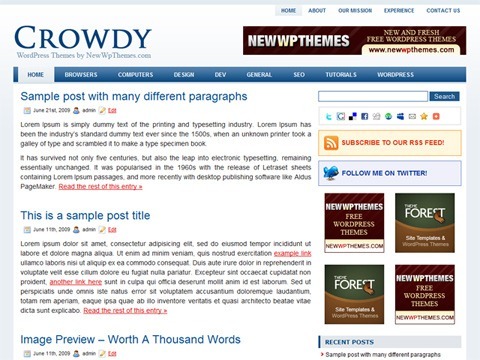 Free WordPress Theme – Crowdy | WordPress Theme | All Free Web Resources for Designer - Web Design Hot! Crowdy is elegant design free premium WordPress theme suitable for any niche. Theme Options at admin panel. This entry was posted on Friday, January 15th, 2010 at 2:26 am and is filed under WordPress Theme . You can follow any responses to this entry through the RSS 2.0 feed. You can leave a response, or trackback from your own site. Hi, at the moment I’m looking with my iphone four new design suggestions and so I have observed your website. Your design and style is really effortless but also compare it for your posts. I imagine I would use it for my initial draft. Thank you for this concept!